Like most homeowners, you likely go to great lengths to protect your property. This estate is more than just a long-term investment, it’s a safe and comfortable sanctuary for your family. While the warning signs are easy to see for many developing issues in the household, plumbing problems often go unaddressed until they are allowed to develop into far more costly situations. If your home’s pipes are acting out of the ordinary, it is always advisable to see out a sewer inspection by your local plumbing company. Mr. Sewer Rooter is proud to provide the best plumbing services and sewer cleaning to Los Angeles households, delivering fast results that are made for long-term peace of mind. Catastrophes rarely happen on a convenient schedule, and our emergency plumbing team is ready to lend a hand. We strive to provide the most comprehensive plumbing services in California, relying on decades of experience and the best training and equipment in the industry. One thing our local team focuses on is proactivity — actively looking and listening for any warning signs in the home that may indicate hidden problems. Today, we’ll continue to discuss the top warning signs that a problem has developed on your home plumbing. If something does come up, our team can provide everything from simple rooter services to trenchless pipe lining and more! Based on where you live, the speed at which your water is delivered can prove very problematic. Large families with little H2O flow can struggle to get cleaned in the morning while homeowners hoping to wash the house may find themselves may find themselves out of luck. 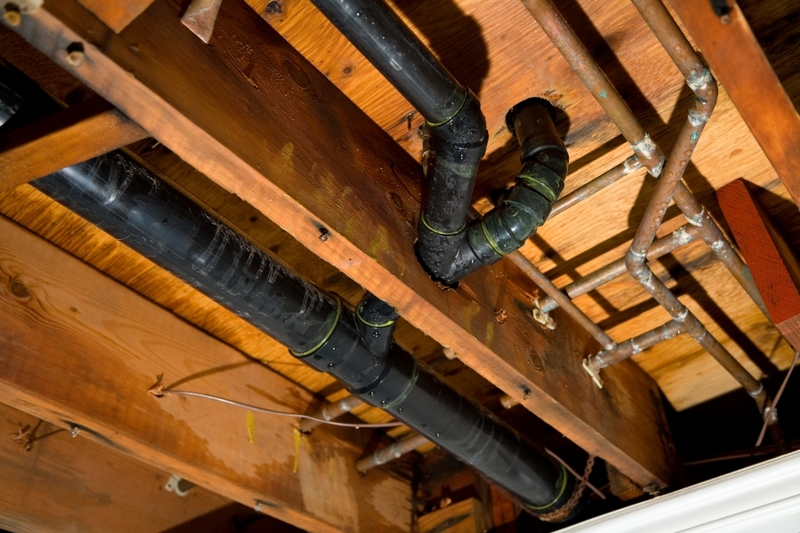 Conversely, homeowners with too much pressure can find themselves dealing with a new problem — overloaded pipes. Going over 80 pounds per square inch of pressure in your pipes can result in tension in your fixtures, resulting in excess wear and tear and highly reduced fixture lifespans. Regardless of the issue, water pressure problems can significantly reduce your family’s quality of life. Homeowners with aging water lines that are now producing less pressure should seek the help of a professional plumber for assistance. These pipes can build up with scale and other minerals and contaminants, eventually resulting in clogs. We recommend seeking out plumbing repairs before this problem develops into a big clog and possible break! One common problem we see on a nearly daily basis comes in the form of a toilet that continually seeps and/or runs. A toilet that creates audible running or filling noises can be easy to overlook, as this seems to happen everywhere. Many California homeowners have simply learned to live with the noise. This problem is normally not indicative of any serious or immediate problems, but action is recommended to save you money while helping our environment. Studies have been done to illuminate the big effects of small problems such as a leaky toilet, with one estimating that a single device can be responsible for over 6,000 gallons of wasted water in a single month! Utility prices may sound ideal in terms of the cost per gallon, but this amount of lost water can drive your bill up an additional hundred dollars! When you consider how precious water is, it’s easy to see why making the minor repairs to stop this problem is a smart choice! Fortunately, running toilets are often easy to fix. DIYers who are not confident that they effectively solved the problem can reach out to our Los Angeles plumbers for additional help! Have you ever noticed that your basement is always damp? This concrete dungeon sits underground, often with few windows, leading many California homeowners to believe that they simply have a cold, damp basement. In many cases, this dampness can be attributed to moisture that makes its way up through the foundation beneath your home. Once this moisture evaporates, the air it surrounds will become wet or damp. Keep in mind that areas holding darkness and moisture create the perfect breeding ground for mold. This noxious agent can grow with the damp air inherent in your basement, setting up shop wherever is conducive for life. Oftentimes, mold growth can be attributed to excess moisture from water infiltration such as flooding or from leaking pipes. If you’ve noticed that your basement is uncomfortably moist, or you have noticed mold growth in your home, it’s important to seek out professional help right away! Over time, the seals keeping your water and sewer lines together may begin to wear down, resulting in small leaks or drips that can prove to be both irritating and troublesome. Instead of seeking out plumbing repairs that may cost a lot, most homeowners enact simple measures to pacify the annoyance. In the short term, you will begin to see rising utility costs. California is a state that values water above many other resources, making it essential for residents seek out pipe repairs when needed. Remember that small leaks can add up quickly. If allowed to progress, even minor leaks can turn into big problems. Unaddressed problems can increase the likelihood of a break, resulting in costly water damages. Homeowners that go on a trip for four or five days may come home to a flooding nightmare! Leaking water lines can result in wasted money and resources while leaking sewer lines are simply unsanitary and dangerous. We recommend being proactive if you are dealing with dripping pipes. Your California home is a labyrinth of pipes and lines that all work in tandem to bring water in and take waste out. If you notice any changes or signs of problems with your home plumbing, it is important to follow up quickly to avoid future problems. A simple sewer inspection now may save you thousands in damages later on! Mr. Sewer Rooter is here to provide top-notch rooter services and sewer cleaning to Los Angeles customers, delivering high-quality results and comprehensive solutions to enhance your property and give you peace of mind. Call us today to schedule an appointment!